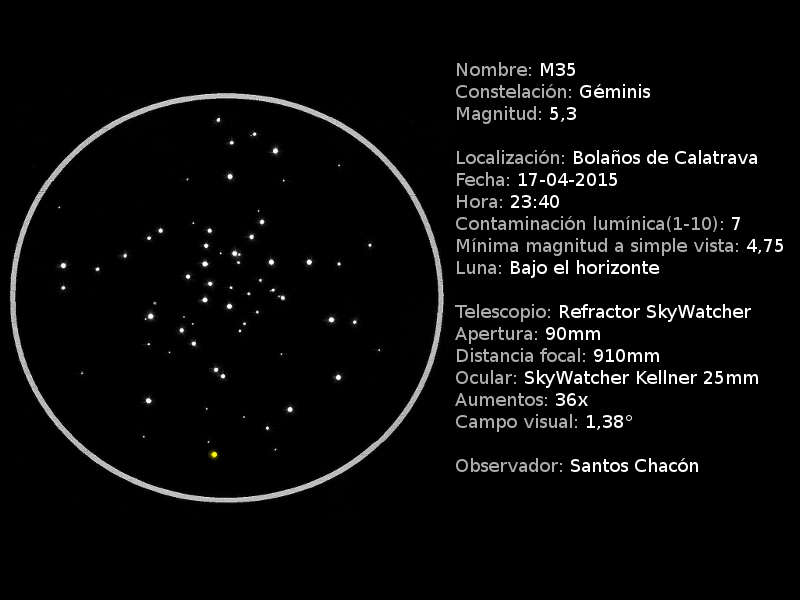 Excellent rendering of M35. It takes a lot of patience to get it right. Well done! You can still see it in the west after sunset but soon it will be lost in the glare.